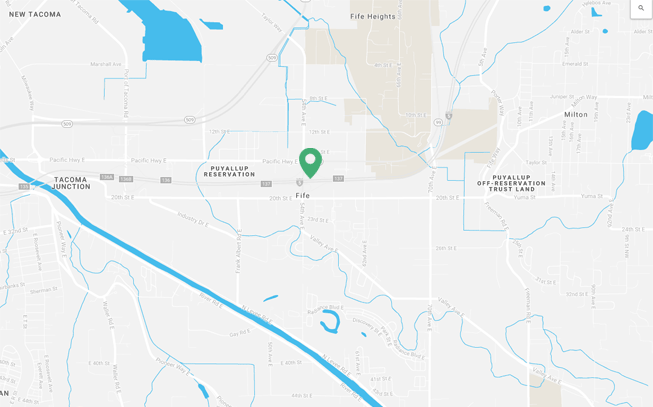 For the past 2 decades we have been serving families, apartment complexes, schools, churches & home owners associations throughout Washington, Hawaii and Alaska. 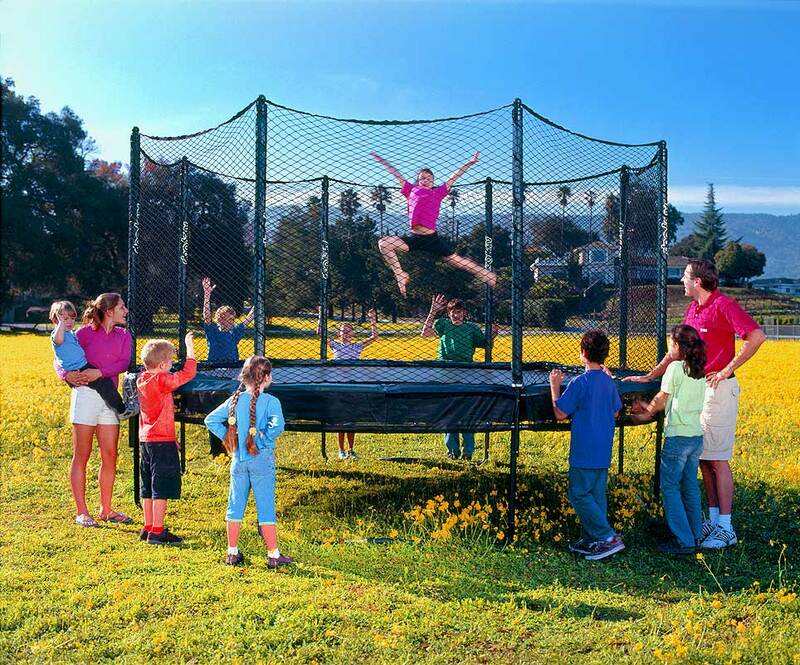 This includes residential & commercial applications for playgrounds, basketball hoops/courts & trampolines. We have a sincere passion for working with families & communities to bring them the safest & most exciting products for fun! 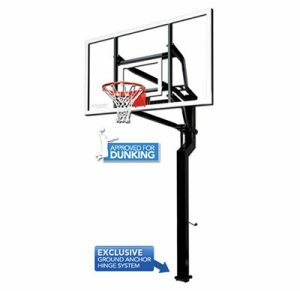 Check out our display models on clearance! 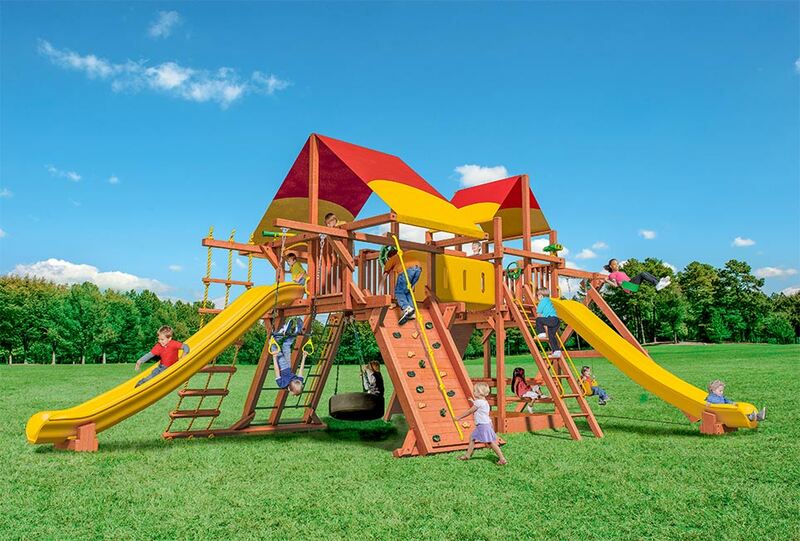 Nothing is more important than the safety of your children, and at Woodplay we take great care in ensuring every inch of our playsets go above and beyond industry safety standards. 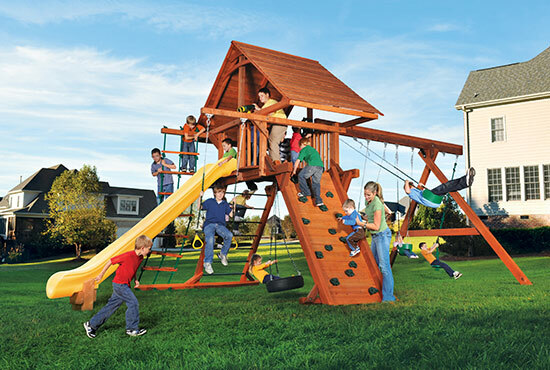 Woodplay is dedicated to producing the finest quality playsets for you and your family. 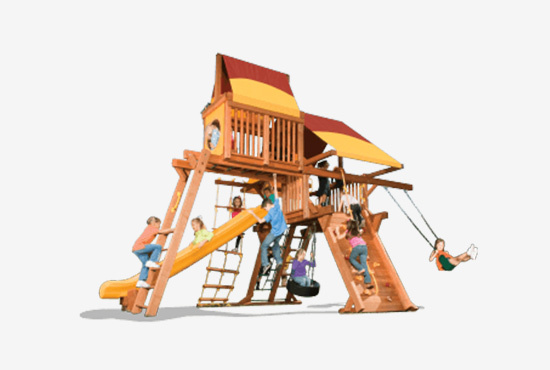 We offer a "No Kidding Guarantee", triple joint construction, premium redwood, bigger beams, and galvanized, recessed hardware to make our playsets stronger than the rest. The main difference with our springs quality is the bounce. 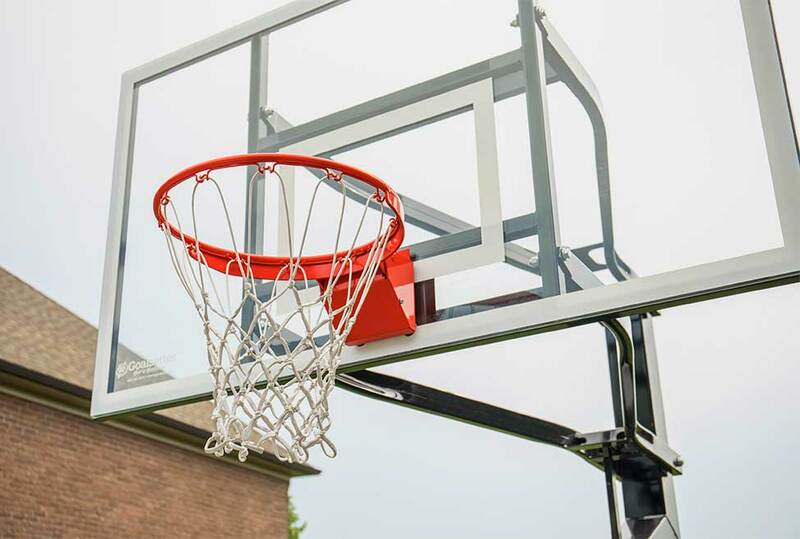 They are softer springs so they stretch farther when you bounce, which results in a smoother rebound that is spread out over a greater distance. Softer springs experience more stress when they are stretched, so a higher quality steel material must be used to withstand this stress. 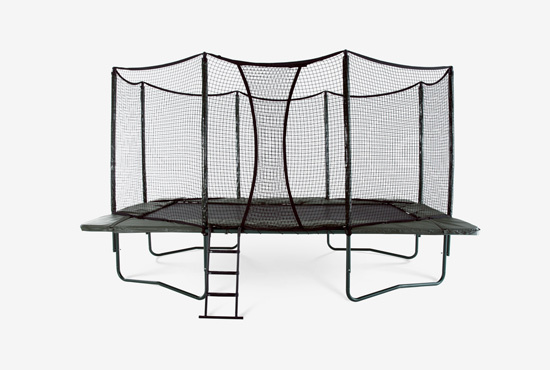 Other trampoline companies use softer springs with lower quality steel which can permanently deform when used. Outstanding quality control - The manufacturing quality standards of Goalsetter are unmatched by any competitor. The quickest response to dealer and customer requests - Goalsetter systems are sold around the world. Yet, they are still made near the original welding shop where the first prototype was built. Response to questions is immediate and directly from the source. 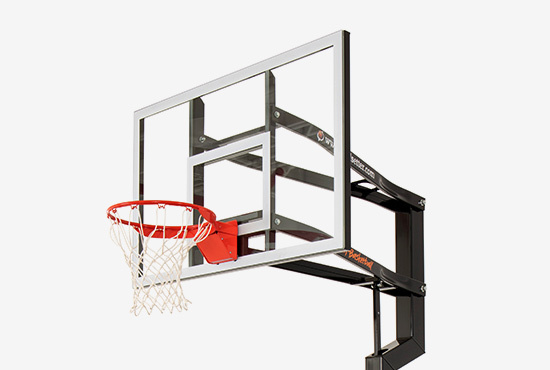 All hoops on clearance thru 4/15/19 with $299 install special! Call (253) 922-4141 for more info. Purchase any Play System by 3/31/19 and we will install it locally for FREE! Call (253) 922-4141 for more info. 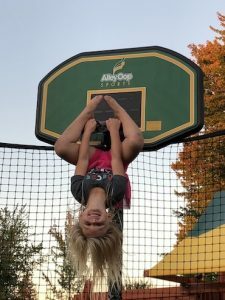 We'll give you a free hoop with any AlleyOOP trampoline purchase. Call (253) 922-4141 for more info.